Celebrate 3 years of Coordinated Care! On August 12, 2014, MVHCA hosted a celebration of 2 years of coordinated health care provided by InterCommunity Health Network Coordinated Care Organization (IHN-CCO). Thank you Maegan Prentice for recording, editing, and uploading the video of this successful event. For more MVHCA events see our Calendar and Upcoming Events pages. Photos here. What does it mean to have coordinated care? Watch and find out. In the process of gaining true universal health care, we will need many more practitioners. Here is Amy Roy's Letter to the Editor Published in the Corvallis Gazette Times on September 5, 2014. I was pleased to read that the medical school in Lebanon (COMP-Northwest) is considering adding programs for physical therapy and nurse practitioners (Lebanon medical school considers adding programs, Gazette-Times, Aug. 30). 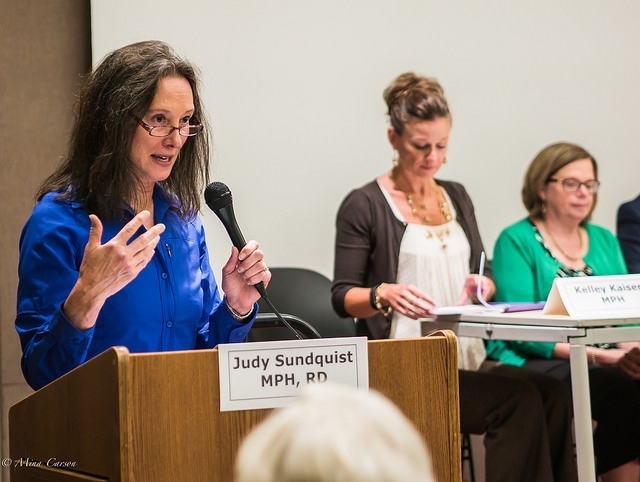 This is good news for Oregon and especially for the three counties served by the InterCommunity Health Network Coordinated Care Organization (IHN-CCO) which is charged with caring for the Oregon Health Plan members of Linn, Benton, and Lincoln counties. Gov. Kitzhaber’s innovative health care transformation plan revolves around primary care homes which provide the wrap-around services that will help people be healthier and therefore require less expensive care. The COMP-Northwest expansion will train nurse practitioners who will be able to do much of the routine care so that the primary care physicians can concentrate on the sicker, more complicated cases. Doctors and nurses tend to stay near where they were trained, so this medical school is a great asset to our community. I am very pleased that so many people in Oregon are finally receiving the care they need thanks to the Affordable Care Act and the innovation the Oregon Health Authority is implementing, and am hopeful that the need for physicians and nurses is going to be fulfilled soon thanks to COMP-Northwest.